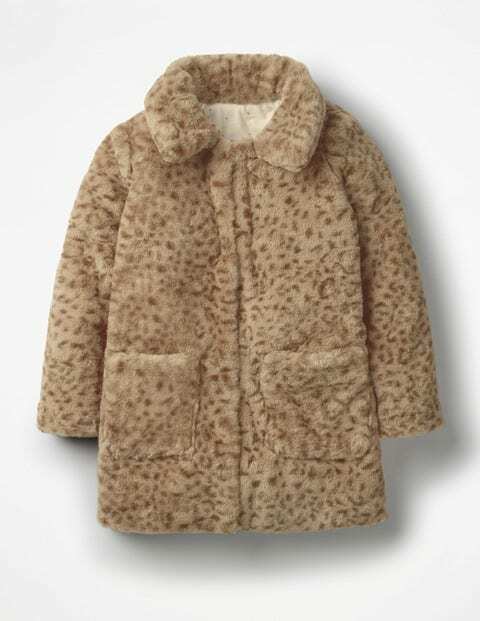 When the weather’s more brrr than brilliant, wrap up warm in our faux fur coat. The Peter Pan collar and concealed buttons make it easy to dress up for more formal events. A soft jersey lining with a star-scattered print keep it cosy and fun.